Manny Pacquiao is willing to fight all comers, and that includes Floyd Mayweather Jr. With only one or two years remaining in the sport before his body forces him to retire, the Filipino star recognizes the magnitude of his next three to four bouts. There is a reason why, two weeks after taking on and beating Brandon Rios, his camp announced that he is eyeing an April 2014 return. The problem for Pacquiao is eerily similar to the one facing Mayweather: they need marketable opponents, not just good opponents. There are plenty of talented athletes in boxing; there aren’t all that many recognizable brand names. Because of this, Pacquiao’s options are fairly limited: Mayweather, Juan Manuel Marquez, Timothy Bradley and Ruslan Provodnikov. Mayweather is always there, but history has taught us that the likelihood of nothing materializing with these two is far greater than the likelihood of something coming together. Bradley is reportedly down, but aside from Provodnikov, he’s the least commercially viable opponent available. Plus, he is reportedly Marquez’s desired next foe, despite having just swiftly beaten him in a way that left little room for debate on who the better fighter was. Marquez is a guy Pacquiao has wanted another crack at since December of last year, but it’s looking unlikely right now. 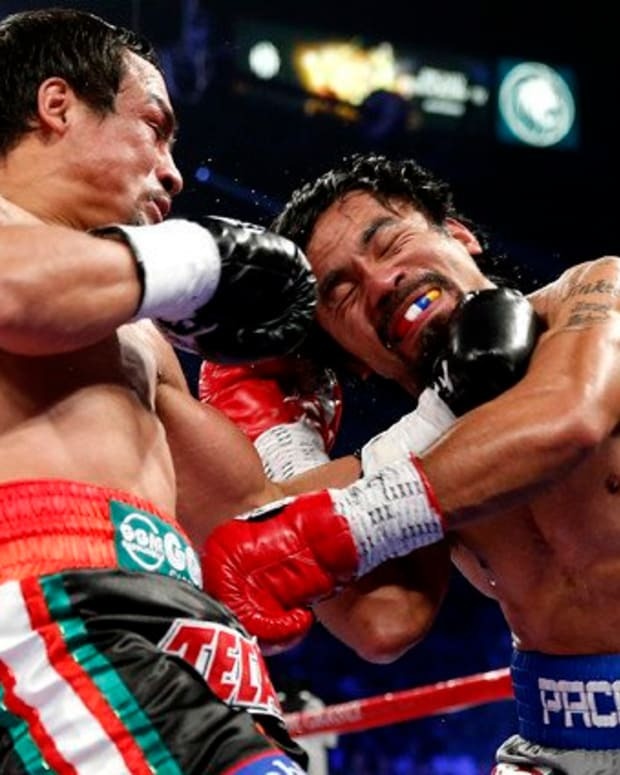 Marquez and Pacquiao have put together numerous successful PPVs, and there is no question Marquez would make way more fighting Pacquiao than he would fighting Bradley, but for some reason he is standing firm in his desire to duck the Filipino star. Provodnikov is a fun fighter, but he’s not getting a shot at Pacquiao. Even if Freddie Roach was cool with it, which he isn’t, this isn’t a good bout for anyone to put together. So what does all this mean? 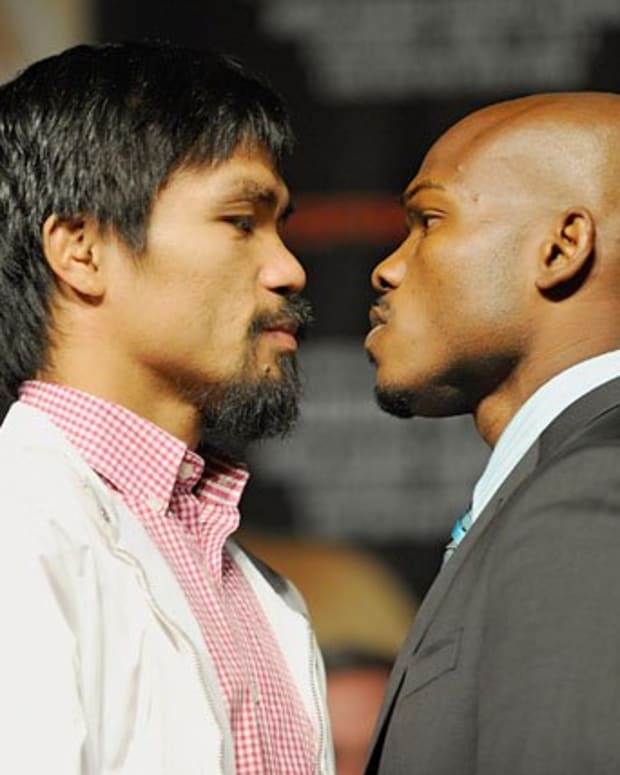 It means, best case scenario, we get Pacquiao vs. Marquez V or Mayweather vs. Pacquiao in 2014. Worst case scenario? Bradley vs. Pacquiao II.